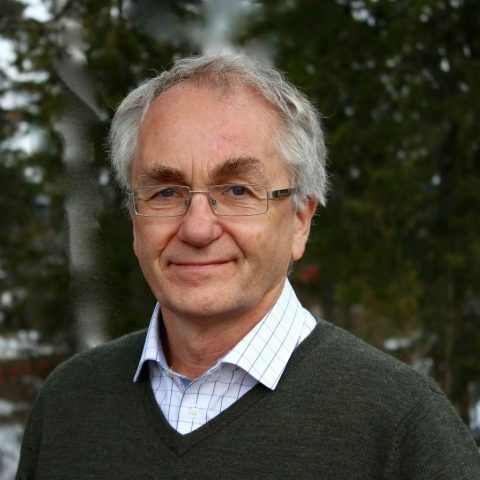 Sverre Sandberg is a MD, PhD and specialist in laboratory medicine. He is director of NOKLUS, a Norwegian organisation for quality improvement of laboratory activity (www.noklus.no) which serves about 80 hospital laboratories and about 3100 users of POC equipement outside hospitals (GP offices, nursing homes, oil platforms etc), chair of SKUP, Scandinavian Evaluation of Laboratory Equipment for Primary Health Care (ww.skup.nu) and director of the Norwegian Diabetes Registry. He is director of the Norwegian Porphyria Centre (NAPOS) (www.napos.no). He is professor at the Institute of Global Health and Primary Health Care at the University of Bergen. From 2002 – 2012 he was director of Laboratory of Clinical Biochemistry at Haukeland University Hospital in Bergen. He was from 1996 – 2002 chair of the Committee on Evidence-Based Laboratory Medicine and from 2002 – 2008 chair of The Global Campaign of Diabetes Mellitus in IFCC (International Federation of Clinical chemistry and Laboratory Medicine). Since 2000 he has been a board member of EPNET (European Porphyria Network), a partly EU-funded project. From 2012-14 he was president of the European Organization for External Quality Assurance in Laboratory Medicine (EQALM). In 2009 – 2014 he was chair of the Scientific Committee in EFLM (European Federation of Clinical Chemistry and Laboratory Medicine). From 2014-15 he was vice president and from 2016-2018 president of EFLM. He is EFLM representative in EB of IFCC. He is chair or member of different working groups in EFLM and IFCC. He has written peer reviewed papers and book chapters given international lectures in his fields of interests: evidence based laboratory medicine, quality improvement of point of care instruments, biological variation, performance specifications in laboratory medicine, quality assurance of the total testing process, laboratory aspects of diabetes, porphyria and photobiology. He likes the sound of raindrops and of the wind soughing through the threes, has supervised numerous PhD students and got some awards.